What do PETA, Save the Children, and Habitat for Humanity all have in common? They’re all nonprofit organizations who have prevailed in the world of print marketing. Digital channels are a fantastic way to easily and instantaneously share your organization’s message. But what about the people who don’t participate in social media? Those who spend their days outdoors, nowhere near a computer? Those who aren’t glued to an electronic device? Those who’d rather read a paperback than a Kindle ebook? 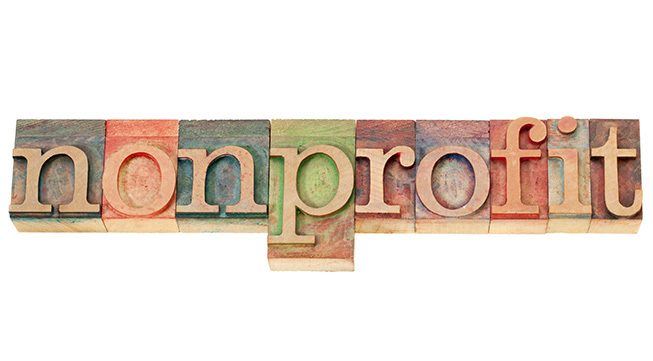 Successful nonprofit organizations haven’t forgotten about reaching this group of people. Direct mail alone brings in 78% of donations for nonprofits. Can you imagine the increase in ROI for you by using additional print marketing tactics? The possibilities are endless. And the message is clear: Nonprofits shouldn’t ask email to do direct mail’s job. So what print options are available to your nonprofit so that you, too, can reach a broader market segment with your message? 1. Postcards — Postcards are a great way to put a personal spin on direct mail. They are delivered directly to the hands of potential donors and your organization’s members. They don’t require an envelope, so your message has a great shot of packing a punch — and being read in its entirety — from the second it lands on a desk. Postcards also beautifully combine visuals and text into a nice, neat piece. 2. Business Cards — Business cards are affordable and very mobile. Print as many business cards as you can, and take them everywhere your organization goes — events, tradeshows, social gatherings, etc. HINT: Your organization’s business cards should include a call to action, donation instructions, and contact information. 3. Brochures — Like business cards, brochures are very mobile and should be taken everywhere your organization goes. Brochures should provide details on your mission, funding, and what you do with those funds. This is another great place to incorporate links to your social media channels and any other online presence you may have to engage with your readers. 4. Catalogs — This is a great option for nonprofits that sell apparel, posters, bumper stickers, and other merchandise that helps promote their cause. You can purchase a page or a column in an existing fundraising catalog, or create your own! People who feel strongly about your cause — especially if it’s a particularly unique cause — WANT to let others know about it. Give them the chance to spread your message for you. 5. Calendars — The great thing about calendars is that almost everyone needs and uses them. You can sell them as a part of your marketing campaigns, or you can give them away at events or to your donors as thank-you gifts. Calendars are great for visual creativity. HINT: Place important dates for your nonprofit on the printed calendars, such as future events and organizational milestones. 6. Custom Event Tickets — Use every opportunity to creatively spread the word about your organization. Make your event tickets into keepsakes that attendees can take home, frame, or show off to others. Since Instagram and other social channels are visually driven, it is very possible that your attendees will share a photo of the event ticket if it’s visually appealing enough. 7. Stickers — It doesn’t matter how old you are, people of all ages love stickers. Print a bunch of stickers with your logo, an important message, or an eye-catching visual and hand them out at all of your events. You can even use stickers as a part of your direct mail strategy. Your stickers could be stuck anywhere — and that means more exposure for your organization! 8. Custom Envelopes — This is a great way to make your direct mail pieces stand out. Ditch the boring white envelopes, and use something more fitting to your brand. Are you a nonprofit that strives for a healthier planet? Create globe envelopes or use seed paper. Does your organization fight for animal rights? Create a custom envelope featuring an animal-print background with a big heart on the front promoting your cause. It’s all about picking the right marketing channel for the right audience. Print marketing has come so far in the past few years — We can create and share information in ways we never thought were possible. Nonprofits can benefit BIG TIME by incorporating cutting-edge printing tactics into their marketing strategies. And don’t forget to check us out on LinkedIn, Facebook, and Twitter!